As part of our new focus in the year 2016, Automotive Addicts set out to take up local automotive enthusiasts on their offer to check out some of the vehicles in our area. 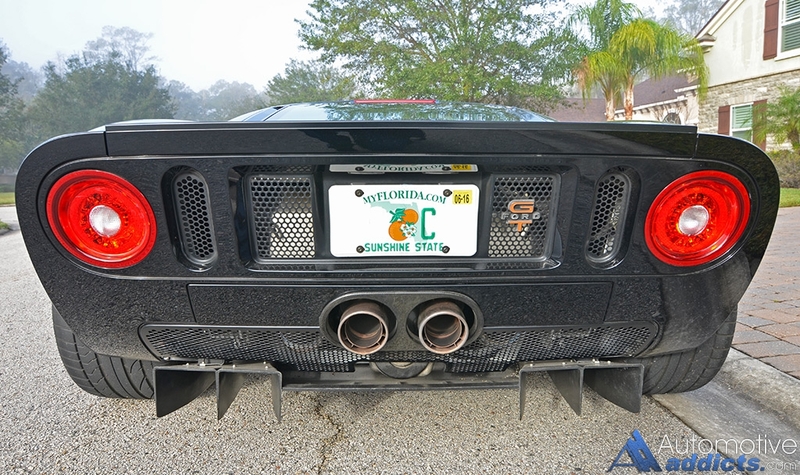 While we are busy visiting many local spots, we stopped by a good friend and Automotive Addicts Cars and Coffee attendee to drive his 2005 Ford GT. 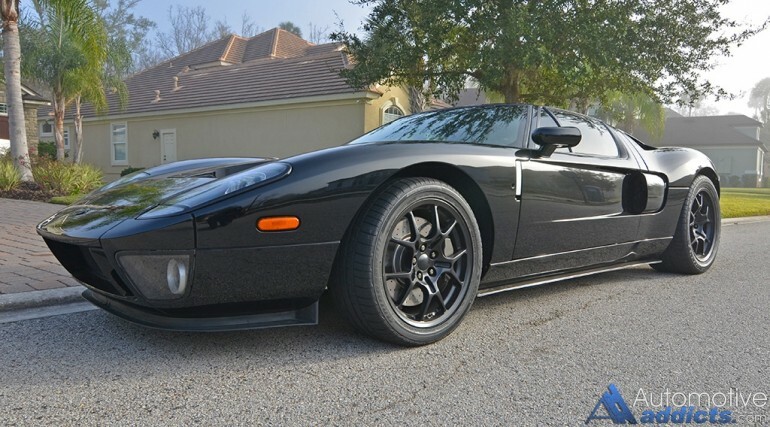 As many of you know, the Ford GT is a remarkable exotic, an American one to boot. In its stock form, the Ford GT was only produced for two years as a 2005 and 2006 model. It created 550 horsepower and 500 lb-ft of torque from its 5.4-liter Supercharged mid-engine-mounted V8. 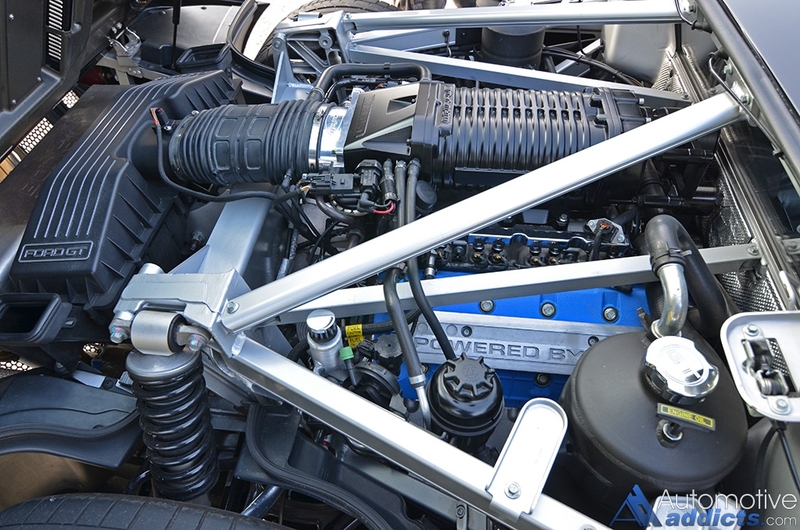 Due to its relatively low weight (3,300 pounds) and mid-engine setup, the Ford GT was tested with the best times reaching 60 mph in just 3.3 seconds. 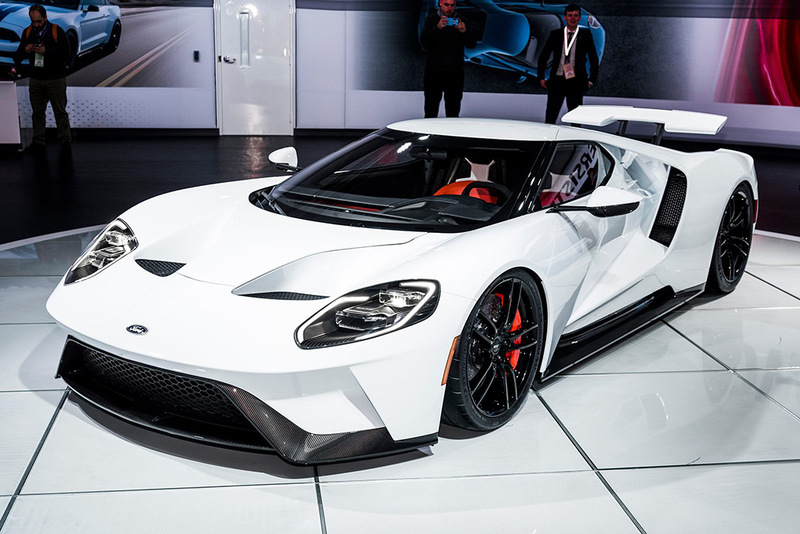 I can completely understand Ford’s reasoning for creating such a vehicle, as homage to the original Ford GT40 from the 1960s, which received its name from being 40-inches in height, the modern day GT was something that those fortunate enough could relish from the original race car. Taking many design cues but making way for two airbags and proper design rules to keep the government happy, the Ford GT became a modern-day street legal recreation, if you will. 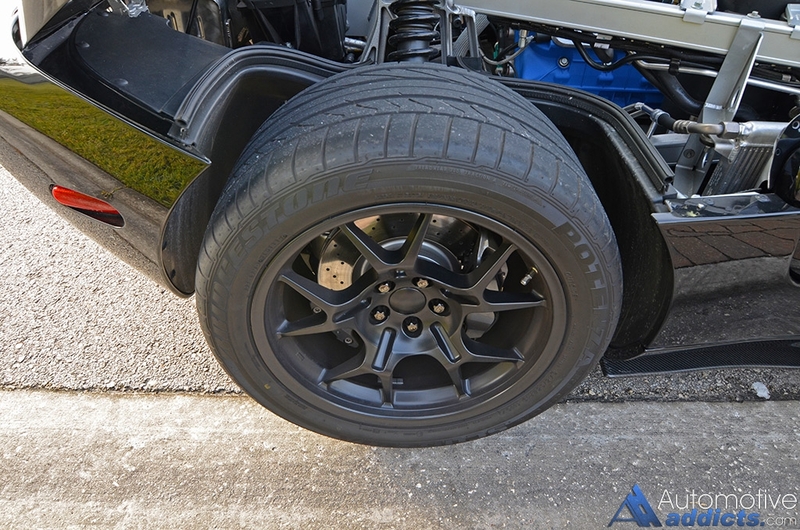 Over the weekend, we spent some special time with an all-black Ford GT that was slightly modified to pump out nearly 720 horsepower to the wheels. 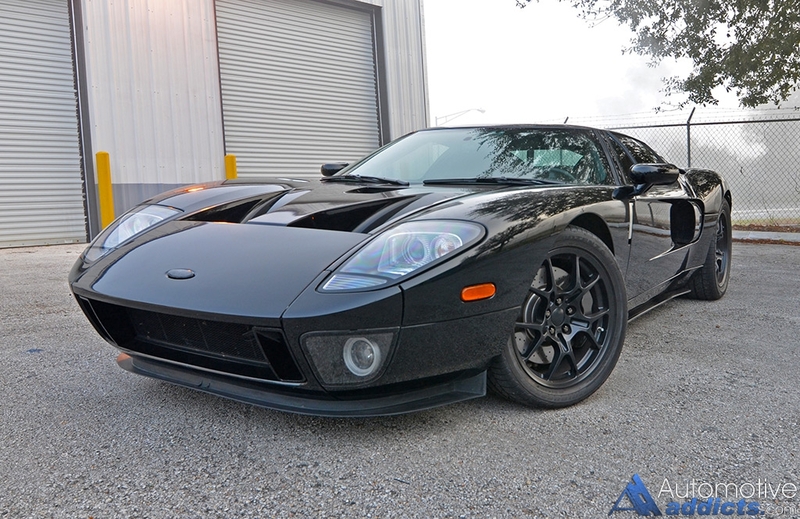 If you know our specs on the Ford GT, you will know that it never came with stability control or traction control and the rear wheels were fed power through a 6-speed manual transmission with rather long gears that could get the GT up to well over 200 mph. While we didn’t reach anywhere near 200 mph this weekend, we did get some enjoyment out of our good friend’s Ford GT, and the take away is that it was surprisingly easy to drive. Additionally, the Ford GT is rather docile driving it around town. Respecting the GT for what it is and the raw connection to the road was a given. 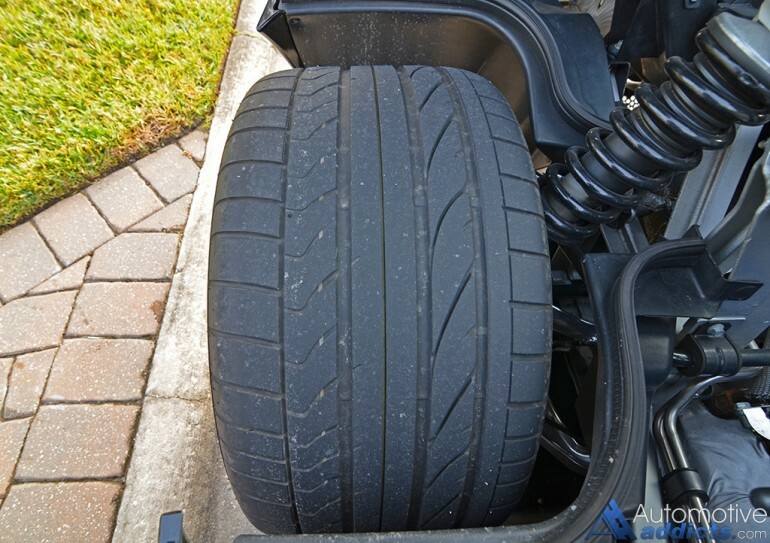 Fortunately, at the hands of my somewhat experienced hands, the Ford GT with over 700 horsepower was manageable and the gas pedal did meet the floor several times after getting some heat in the massively-wide 345-patched rear tires (345/35R19). I give Ford kudos for building such a vehicle and never holding back to place it in a position to compete directly with other supercars and exotics. The fine example I was able to experience shows how the GT has stood the test of time and continues to be a stunning exotic vehicle even at the matured age of 11 years old. The original GT40 was already a remarkable vehicle for its time and garnering that design and exotic racecar appeal into a modern day road-going vehicle is a testament to Ford’s design and engineering team. 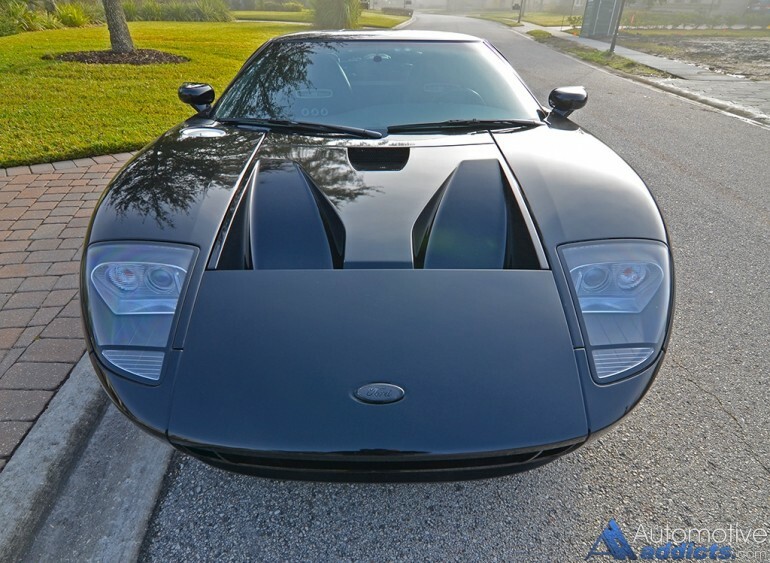 With the introduction of the 2017 Ford GT the legend continues to live on utilizing the best of what technology has gifted us in was thought to be impossible when the 2005 GT was introduced. As far as practicality goes, there is none. You could conclude that the 2005-2006 Ford GT is just about the worst production vehicle for driving on public roads when it comes to visibility. Though, the ride quality was really good for such an aggressive and menacing exotic car. Entry and exit was like performing a circus act that would nearly impale your head if you don’t pay attention to the roof-capsulated doors when getting out of the GT. At the end of the day, I can conclude that the Ford GT was and is an instant classic, one that stands the test of time and will go down in history of one of the greats for American sports cars. The 2005-2006 is truly the future’s classic. If you live in the Jacksonville area or surrounding cities, be sure to contact us if you want to have your own vehicle featured!